Oh, Fluff! That thick, sticky-sweet, syrupy, fluffy, foamy marshmallow-y gooey goodness. Is it a topping? Is it a spread? Is it even a food? Whatever it is, it sure is delicious (or at least it was – it might be a sad side effect of being an adult that I can’t recall the last time I had a nice blob of Fluff to cram in my craw). But taste aside, I think we can agree that it is NOT a pinnacle of nutrition. Well, let me pioneer a high-protein, refined sugar-free recipe that brings you the same satisfying “squish” of Fluff, paired with its classic companions peanut butter (hello, Fluffer-nutter!) and banana! That’s right folks, it’s time to re-live (or re-imagine) your childhood. Did I say “Fluffer-nutter”? Why yes, yes I did. 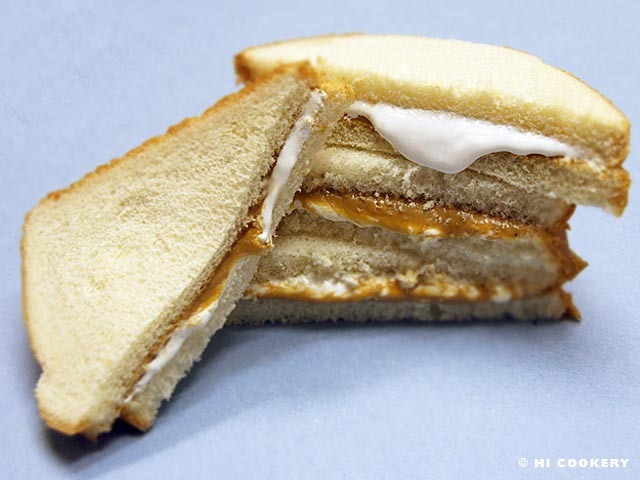 For the uninitiated, a Fluffer-nutter is a sandwich whose filling is Fluff marshmallow creme and peanut butter. A widely accepted (but not mandated) requirement is to toast (or even fry or *gasp* deep-fry) the bread to enhance the melting of the peanut butter and the Fluff together into sticky, melt-in-your-mouth, sweet, peanut-buttery goodness. (As an aside, that melting effect was what made me prefer Fluff in a sandwich as opposed to as a sundae topping – putting it on ice cream always just caused it to harden into a less-appealing cold, hard, white blob. I’d still eat it that way, of course.). 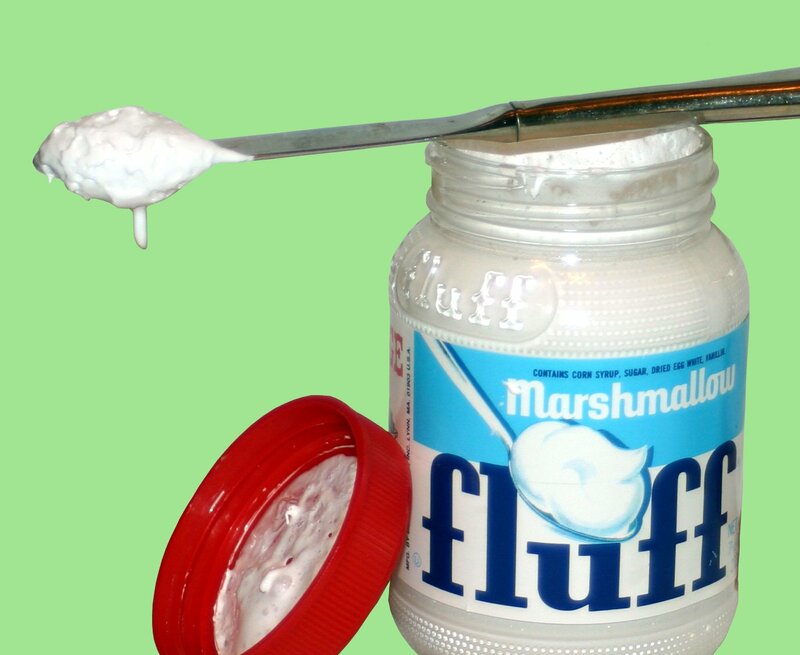 What is (or was) your favourite way to eat Fluff? I’d love to hear about it in the comments! Now, don’t worry. I promise this recipe is a “grown-up” take. There is no refined sugar (as long as you use a natural peanut butter with no added sugars and a protein powder with no sugar) so the sweetness is ratcheted down (unless you want to feel as though you are on the brink of a diabetic coma – to achieve that effect without actually sending your pancreas into overdrive, I suggest adding some plant-based sweetener such as stevia or even honey or maple syrup – keep in mind that any sweetener with calories will alter the nutritional content versus what is published below). And this recipe includes “grown-up” ingredients like high-protein plain Greek yogurt and protein powder (even more protein!) and powdered peanut butter for even MORE peanut flavour without added fat. Everything you need for a “grown-up” Fluffer-nutter! Revisit a childhood favourite with this grown-up take on a Fluffer-nutter. This high protein treat is refined sugar-free but gives the same satisfying “squish” of marshmallows paired with the classic combination of peanut butter & banana. 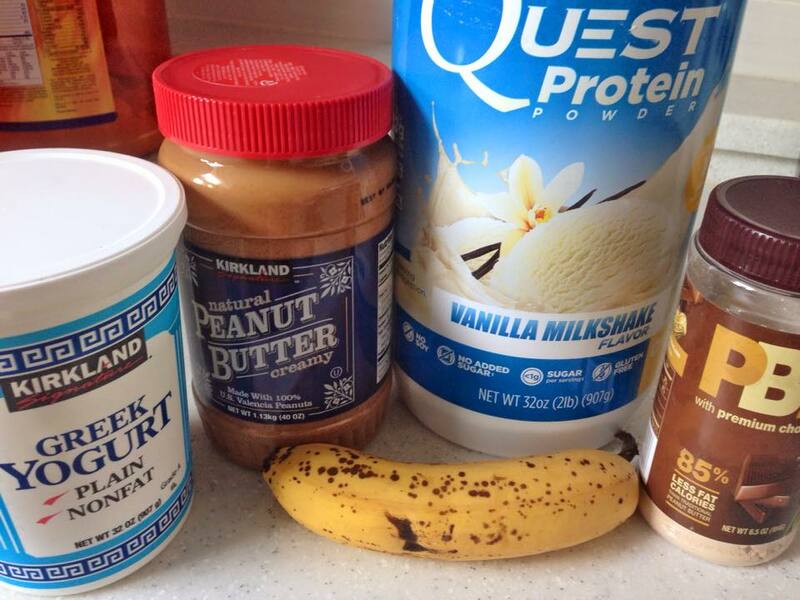 1/2 scoop (14-15g) protein powder of choice – I used Quest Nutrition Vanilla Milkshake Protein Powder* but you could also try Quest Nutrition Peanut Butter Protein Powder* to really up the peanut butter flavour! 2. Add the dry ingredients and mix thoroughly – texture will be thick and marshmallow-y. 3. Stir in the chopped bananas. 4. 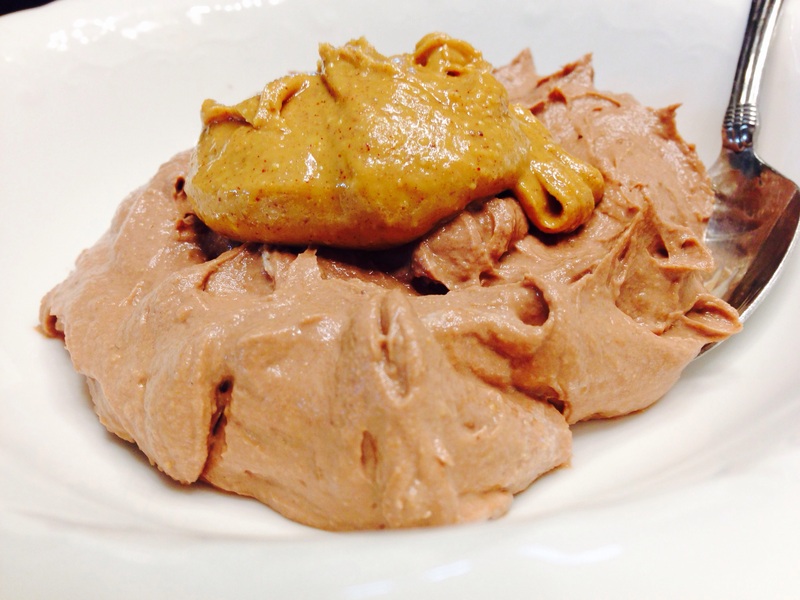 Top with a dollop of peanut butter – option to swirl in or leave on top. 5. Garnish with remaining banana slices. 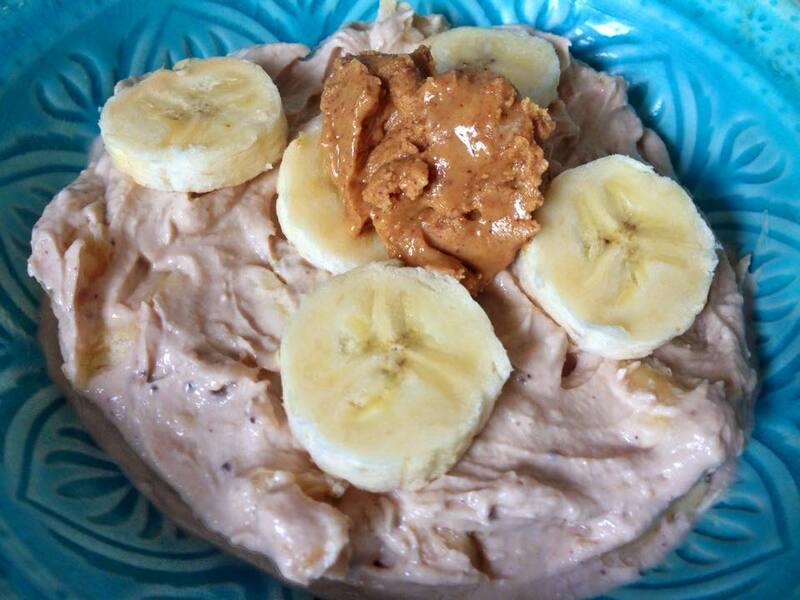 Enjoy immediately straight out of the bowl or as a topping for toast, oatmeal, pancakes, cookies, ice cream, etc. or refrigerate for later. Keeps well for several days.